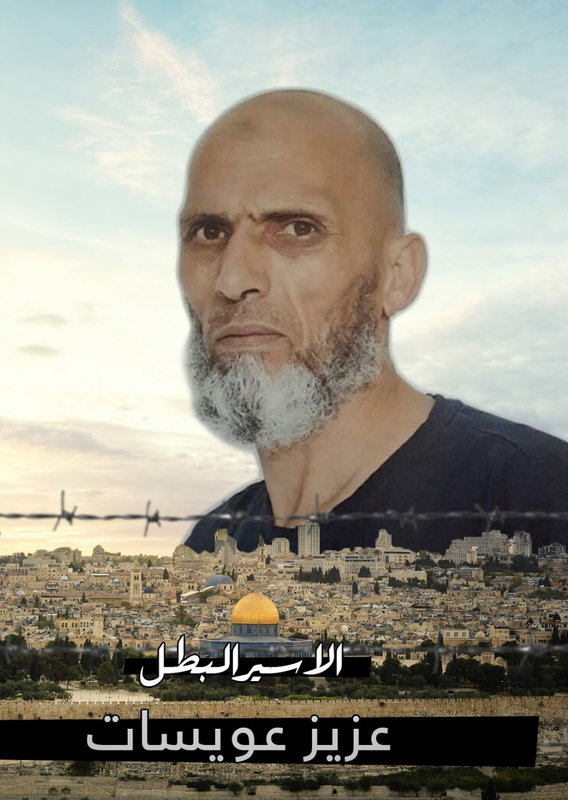 The Israeli occupation forces bears full responsibility for the death of the prisoners Aziz Awisat (53 years old). On 9 May 2018, Aziz had a stroke when he was at the prisoner’s clinic at al-Ramleh. He was subsequently transferred to Assaf Huroufeh hospital where he died Sunday, 20 May 2018. Aziz’s lawyer, Khalid Mahajneh from the Prisoner’s Club, stated on Sunday that Aziz suffered from acute organ failure. He had been in the intensive care unit since his arrival at the hospital, connected to an artificial respirator. His lawyer also stated that the doctors had tried to get him off the respirator, with the intent of allowing him to breath normally, though Aziz was incapable in his condition. Aziz, who was from Jabal al-Mukaber – East Jerusalem, was arrested in 2014. He was sentences to 30 years of imprisonment. The medical neglect he suffered from is the norm, rather than the exception. Such neglect represents a violation of article 91 of the Fourth Geneva Convention, which requires the provision of adequate medical treatment for prisoners and the transferring of sick prisoners, who require special medical care, to hospitals where they should be treated in a manner befitting any other citizen. Addameer calls on the High Commissioner for Human Rights to form an international investigative committee in order to ascertain the true nature of medical negligence in occupation prisons. We also call on the World Health Organization to organize an immediate visit to prisoners’ clinics in order to document the inadequate level of health care. We call on all international organizations, and states, to take the requisite action in order to ensure that Israel abides by all its obligations under international law. According to our statistics, since the beginning of this year, four prisoners have died. This raised the total number of prisoners to have died in occupation jails to 216. Among those, 75 died as a result of direct targeting and killing, 72 prisoners died because of torture, and 62 died as a result of medical negligence.